I recently returned from Australia where I visited my grandfather each day in his nursing home. It was hard to see the change in him and how, at 99 years old, his body is clearly shutting down. His 100th birthday is in March and, as we say in Australia, “He has had a good innings.” But the question is, will he bat a century? Each day when I went to visit him I noticed different things, whether it was the nurses on duty, the cleanliness of the facility or the pet chicken and rabbit they had in the enclosed courtyard [obviously a highlight for a pet lover like me]. However, one thing was very clear: this was a very good nursing home where he was getting the best possible care and being treated with the utmost dignity. He has only been in a nursing home for the past three years, but I can imagine the expense of living in a nursing home has to be adding up. I asked my father how it worked regarding the costs, and he said that with this particular facility you had to put up collateral which the nursing home draws on over time. What came next was the BIG shock. He said that, depending on the age of the person entering the nursing home, that could be up to $1,000,000 in collateral. So, the question becomes: How should we plan for long-term care? Firstly, we spend so much of our time planning to buy a house, planning to have a family or planning to retire, but a lot of us haven’t given a thought about planning for long-term care. 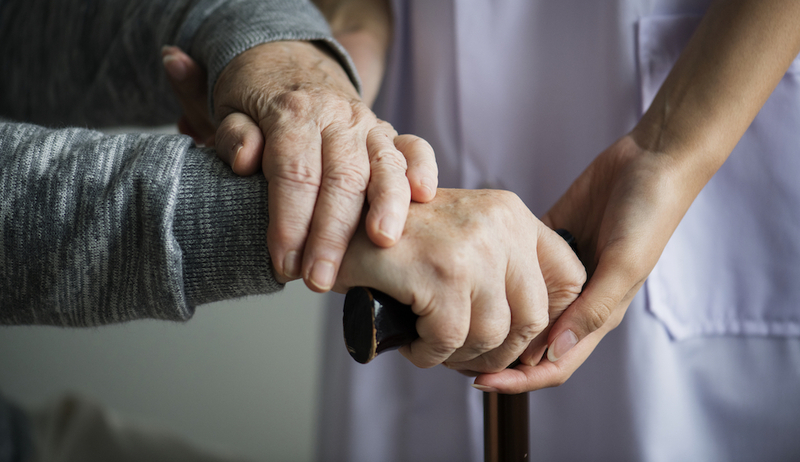 Long-term care can be challenging, especially because it represents the final years of life which, let’s be realistic, no-one wants to think about. On top of that, the reality for a lot of people is that it also represents an already large depletion of their personal assets, which begs the question if they can even afford it. Currently, long-term care insurance in not available on Bermuda, so paying for the cost of long-term care comes down to the individual, which means big dollars being spent over what could be a long period of time. There are always going to be the people that say ‘I don’t make enough money’ or ‘I don’t have enough money’; however, at some point it is going to happen whether you like it or not. So, instead of kicking the can down the road or grizzling about what the government does or doesn’t do, let’s address it head on and create a plan. Now, if your plan is for your family to take care of you, that’s fine. Just make sure your family is on board with it – your plan and their plan might be completely different. Also, they may not be able to provide you with the in-home medical care you need, at which point a full-time facility will be needed. So, the question is, who’s going to pay for that? For a lot of us, our plan to is to think about the worst-case scenario – perhaps 20 years of active retirement and 10 years in a nursing home facility. This means that during the course of our working years we need to save a lot more for retirement than first thought, and crunching those numbers is going to become imperative for our long-term well-being. Working with a financial professional is going to be your first step. They can have a look to see where you are today and what your plans are for your future, and they can make the necessary recommendations and help guide you through your working years into your retirement years. This entry was posted on Thursday, January 17th, 2019 at 3:40 pm	and is filed under Uncategorized. You can follow any responses to this entry through the RSS 2.0 feed. Both comments and pings are currently closed.